In the framework of the Annual Conference, each INTEGRIM Work Package held parallel Scientific Meetings on December 9. 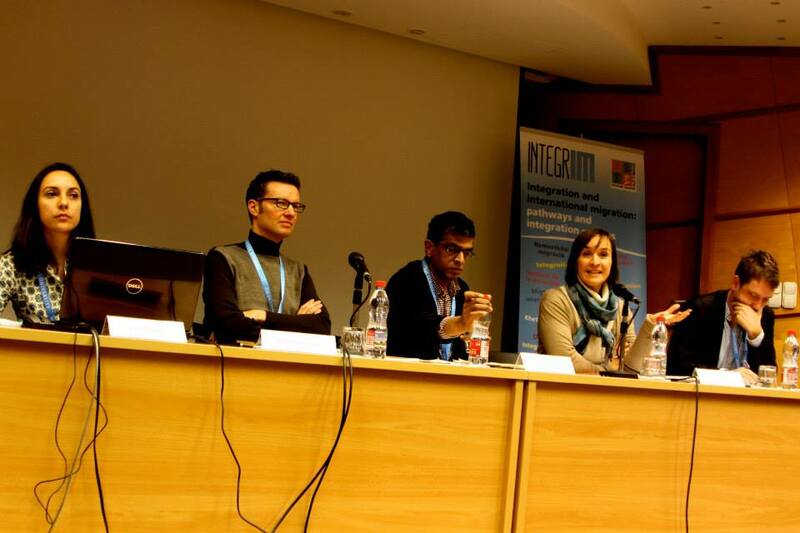 The coordinators of Work Package 1 entitled “Identity and Cultural Integration” of the INTEGRIM Project has organised the scientific meeting on 9 December 2014 at the Central European University compound. Representatives of Koç University and University of Deusto, two keynote speakers and early stage researchers of WP1 have attended to the meeting. The session is moderated by Ilke Sanlier Yuksel (Koç University), Eduardo J. Ruiz Vieytez and Dolores Morondo Taramundi (Deusto University). econd talk was given by Ms. Meral Acikgoz (IOM-Turkey) on how integration issues are perceived and operationalised by IOM. After the keynote speeches, ESRs presented their papers that reflect on an aspect of their research. 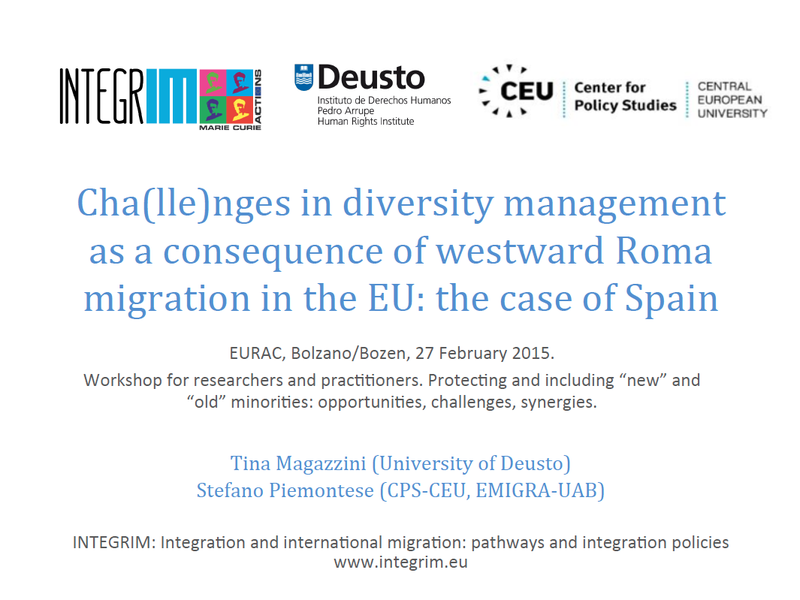 Tina Magazzini presented her findings from the field research on Roma integration in a comparative case of Italy and Spain. Claudia Paraschivescu gave her talk on the comparative cases of Romanians who live in London and Paris in order to understand the notion of transnationalism as the negotiation of belonging. Sahizer Samuk presented her research on temporary labour migration policies in UK and Canada and discussed the possibility to coin the term “temporary integration”. 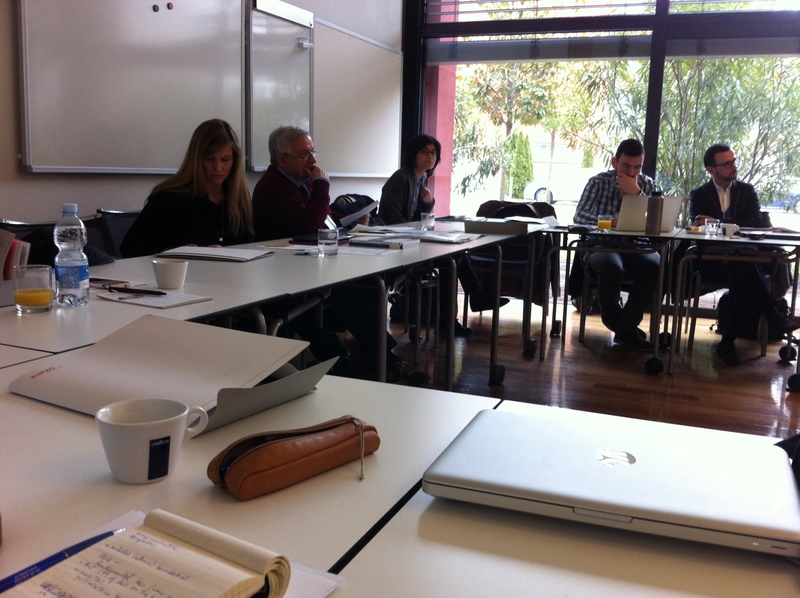 The papers were discussed by all participants of the meeting, without assigning a specific discussant for each. At the end of the meeting, prospects of possible scientific publications as a part of dissemination plan has been discussed. KU representative has brought the possibility to publish a specific volume on cultural integration by a reputable publisher and suggested to approach to a publisher within the next months. 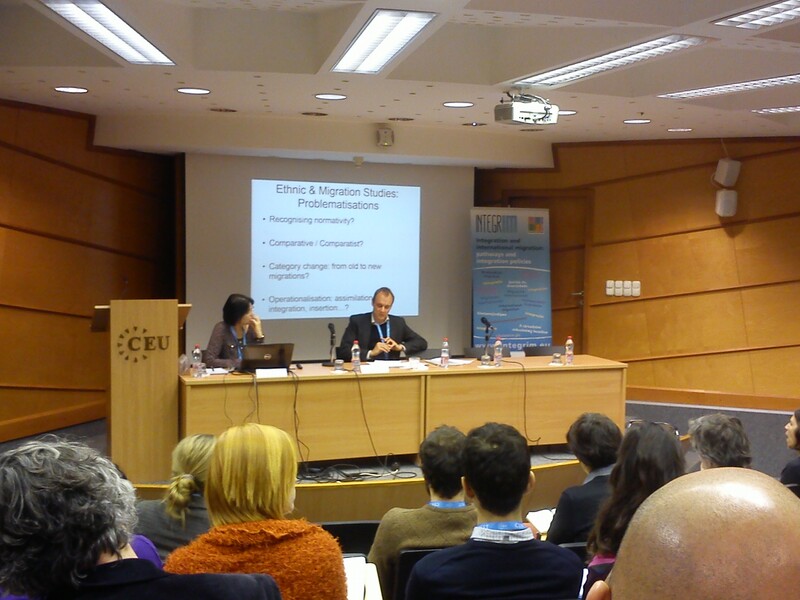 UDeusto representative also highlighted the importance of collective publishing work. It is decided to continue to discuss this issue via e-mail exchanges. The meeting has been closed with the decision of bringing a proposal and initiation till the next scientific workshop to be held in spring. In the meeting we had six fellows participating (3 long-term and 3 short-term). Each of them did short presentations of maximum 10 minutes followed by 20 minutes discussion. Long-term fellows acted as discussants for the papers of the short-term fellows and vice versa (discussants spoke for max. 5 minutes). Shannon Demery presented a paper entitled FINDING THE WAY HOME: METHODOLOGY AND FIELDWORK REFLECTIONS in which she provided overview of her project and field work conducted in the last 12 months in Belgium. Discussion focused mainly on methodological issues. 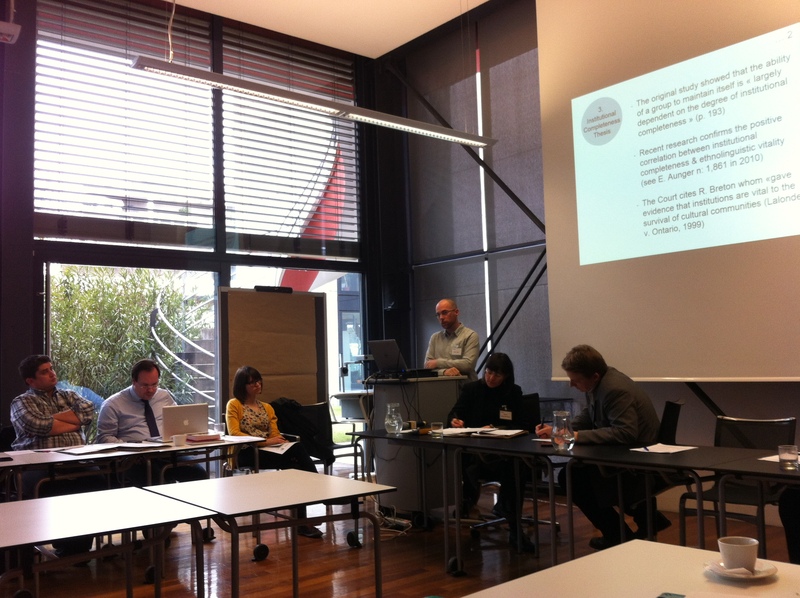 Davide Gnes presented a paper entitled ORGANIZATIONAL LEGITIMACY BEYOND ETHNICITY? THE CASE OF KIWA AND THE STRUGGLE FOR THE RIGHTS OF IMMIGRANT LOW-WAGE WORKERS. In this paper he discussed the situation in Los Angeles in terms of immigrant rights movement. The discussion focused primarily on how this movement can be understood. Agnese Lace presented a paper entitled DUAL CITIZENSHIP AS A TOOL FOR DIVERSITY MANAGEMENT IN THE ERA OF TRANSNATIONALISM. In her paper she explained main purpose of her PhD project. Discussion focused on framework and data used in the project. 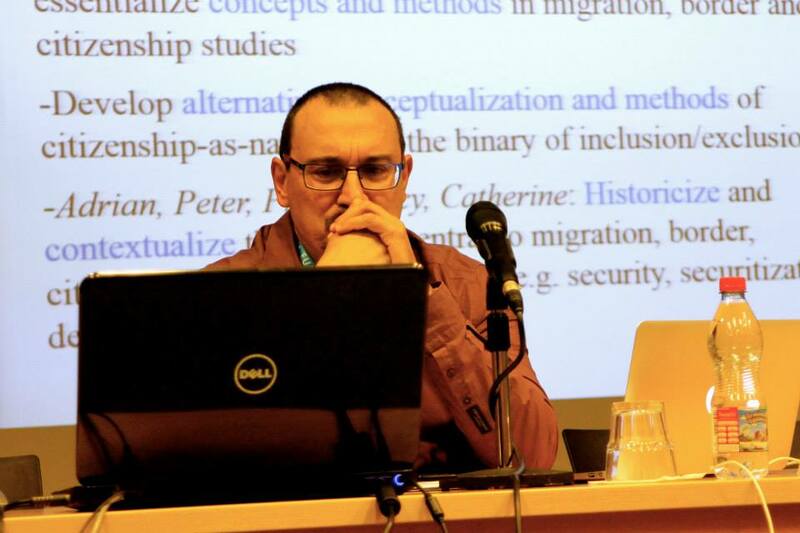 Stefano Piemontese presented paper entitled LEAVING ‘ROMA’ BEHIND. NOTES ABOUT MOBILITY, HOUSING, AND EDUCATION. In this paper he discussed literature on Roma and education. Discussion focused on how he wants to use insights of literature for his project. 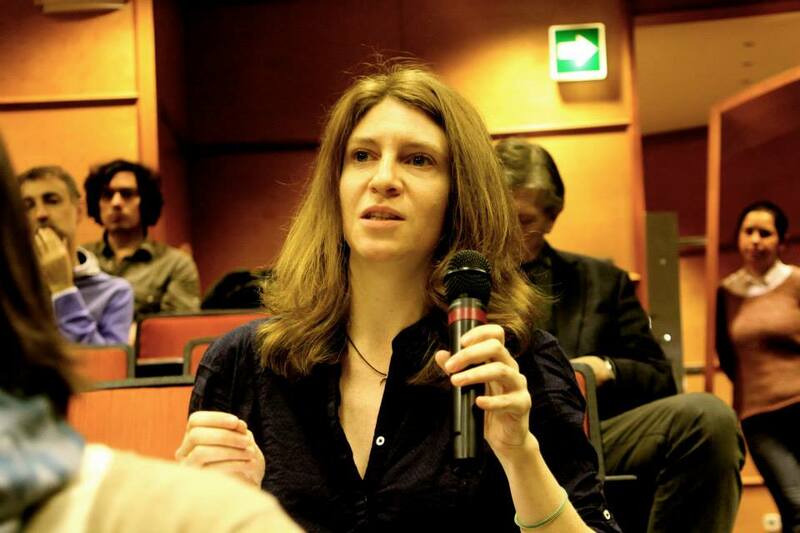 Celine Cantat presented a paper entitled CONTESTING EUROPEANISM: MIGRANT SOLIDARITY ACTIVISM IN THE EUROPEAN UNION. In this paper she talked about final results of her PhD project. Discussion focused on how we should interpret these results. 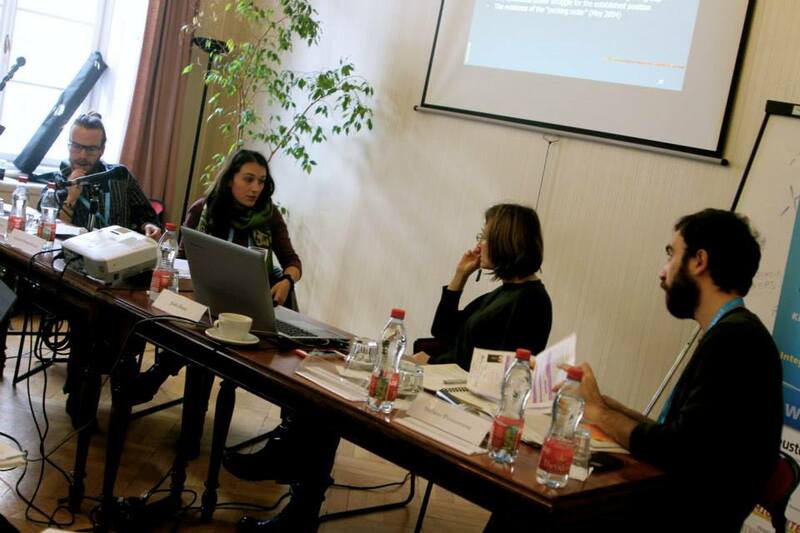 Georgiana Turculet presented a paper entitled ‘Immigration and Democratic States’ Borders’. In this paper a theoretical framework was discussed how to assess immigration in democratic states. The Scientific Meeting of WP3 was used as an occasion for discussing some outstanding issues that the ESRs are thinking of, developing, or grappling with in their work. The fellows were asked to circulate the titles and short descriptions of their presentations beforehand, and then for the meeting to prepare a presentation on some aspects, substantive components, or segments of their work. This latter could be a conference paper draft, a proto-chapter of their thesis, or any other meaningful academic product that articulates the issue they wished to discuss in this smaller circle. INTEGRIM senior scholars took on the role of discussants and first they were asked to provide reflections and comments, and then all participants had the opportunity to engage in a discussion. Summary: In the presentation I will introduce the section of the theoretical framework of the study which focuses on the principle of non-discrimination. Therein, non-discrimination will be presented and discussed firstly as a fundamental principle of human rights, secondly as a general, fundamental principle of Community Law and thirdly in relation to the goal of the European Union to grant third country nationals lawfully residing in a Member State near equal rights to citizens. • To what extent is the principle of non-discrimination, as a fundamental human rights principle and as a general, fundamental principle of Community Law applicable to EU Law on labour migration? • Are the differences in rights granted to labour migrants by the Single Permit Directive and the Blue Card Directive compatible the goal to grant TCNs who reside legally within the EU near equal rights to citizens and to achieve social cohesion? Summary: Irregular migrants are excluded from formal political participation and face significant barriers to most other kinds of political engagement or activism. At the same time, it is precisely their irregular status – by placing them outside of the law but at the very centre of (immigration) politics – that, arguably, renders many of their everyday activities, interactions and decisions inherently political. Not only the ‘illegal’ selling of their labour, but also their engagement within local communities, going to school or shopping, seeing doctors or claiming access to other services formally denied to them, thus becomes a form of political expression and contestation. At the other end of these relations, the same can be said about the actions taken by a wide range of societal actors who in their private or professional role as, for example, friends and colleagues, teachers, health and social workers, lawyers or NGO staff come in contact with irregular migrants by either responding to their needs or simply accepting them as clients or part of the local community. In the context of the UK government’s approach – to create a ‘hostile environment’ for irregular migrants – this seems particularly relevant. What puzzles me, however, is that most of the people that I have spoken to since the beginning of my fieldwork in London, do not perceive their dealings with migrants in irregular situations as political acts, but rather as ‘part of their job’ or demanded by their professional ethics or humanitarian ethos. This seems to make the conceptualization of their acts as part of the ‘politics of migrant irregularity’ less straight forward. Summary: In Standing’s terms, the precariat is the new dangerous class born and produced in the neo-liberal capitalist era1. This people are expected to be ever more adaptable in a flexible market, which is enough to have anyone prone to the four As – alienated, anomic, anxious and angry. Migrant or not, precariousness seems to affect all of us, academics, artists, musicians and in most destructive ways, the people found at the low end of the labour markets. And in Standing’s view the latter is growing in dangerous numbers, and is at the disposal of the global market forces controlled from the centres of corporate powers in global cities. We see here how Standing is portraying the precariat as ‘the victim’ (of globalisation), a commodity to be bought and sold, subject to market forces, with prices set by demand and supply, without effective ‘agency’ (a capacity to resist)2. In part, this description is true, but I am not convinced this is the whole picture. This could be explained by the fact that migrants’ strategies to cope and survive precarity have also diversified. What strategies are developed by migrant night workers in the global cities’ night time economy to compete against or show solidarity to others, in order to survive their precarious conditions at the low end of the job market, and outside of capitalism? In other words, in what sense the strategies developed by migrant night workers provide a framework for understanding their survival/coping against the precariousness of their livelihoods? 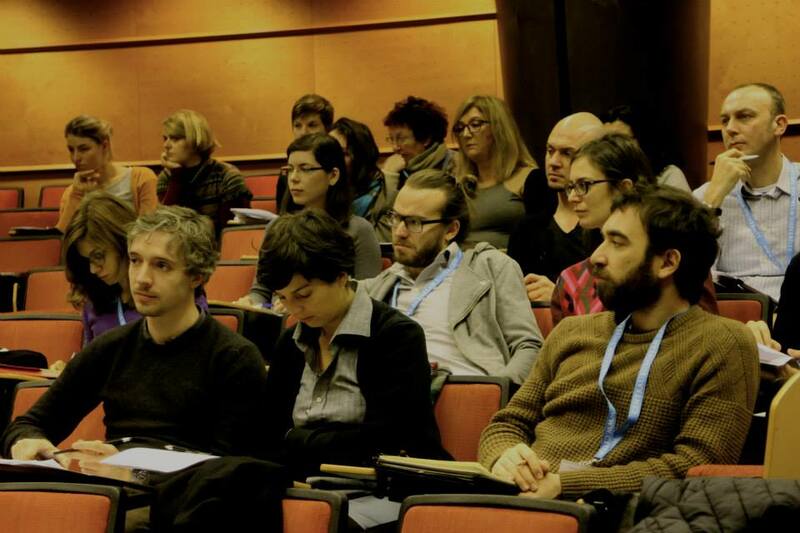 The WP4 scientific meeting held on December 9, 2014 during the 2nd Annual INTEGRIM Conference at Central European University (Budapest) was organised by Cédric Audebert (Migrinter/University of Poitiers). The theme of urban integration, residential patterns and mobility was the scientific nexus around which Franz Buhr (U. of Lisbon), Amandine Desille (U. of Poitiers) and Kingsley Madueke (U. of Amsterdam) presented their research projects. Three representatives of the presenters’ institutions – Cédric Audebert, Walter Nicols, Jennifer Mc Garrigle Montezuma de Carvalho and Lucinda Fonseca – as well as the ESR were invited to discuss the presentations and share their feedback on the theoretical and conceptual issues identified by the three presenters. The issue of urban integration, residential patterns and mobility was dealt with through three lenses: migrant spatial integration as a skilled practice; the interpretation of national absorption policies by local city governments; and the relation between residential segregation and ethnic relations in urban environments. Franz Buhr’s presentation suggested that, in the migrant’s process of “becoming local”, his/her spatial integration was a skilled practice where familiarity, rather than a ‘natural’ attribute of spatial relations, was constructed and lived as an ongoing practice. Departing from the ways individual migrants live and embody the process of urban apprenticeship encourages us to catch up with many recent claims for taking seriously the role of immigrants as true actors in the production of the city. When migrants are seen as knowledgeable and skilled inhabitants not only we do more justice to the complex engagements people undertake with space, but also help disincarcerate migration and integration studies from the fixity of traditional categories. Amandine Desille’s presentation on “Aliyah and absorption policies: Local interpretations in Israeli economically depressed towns” pointed out the hiatus that has existed between the official discourse of an Israeli immigration policy opened to any Jew and the de facto professional, socio-economic and cultural disqualification of many immigrants grounded on the neo-liberal premises of absorption policies at the local level. The presentation singled out the fact that Aliyah local policies started to be used as tool to control/select immigration in the cities, and that even more in cities where tensions between communities existed. Kingsley Madueke’s presentation on “Residential segregation and violent extremism in urban environments” aimed at drawing possible lessons from the experience of deteriorating interethnic relations in Jos, Nigeria. As violence intensified, people fled to neighbourhoods where their co-ethnics predominated, which led to higher levels of residential segregation throughout the city. From a theoretical reflection that identified three types of segregated neighbourhoods (enclaves, splits, buffer zones), the presentation hypothesised that the type of neighbourhood determined how violence was produced. The discussion that followed each presentation focused on the feasibility of the research projects, and on the relevance of the theoretical and conceptual frameworks on which they were grounded. A discussion was also led on the short- and mid-term dissemination and publication strategies ESR could consider for their research. Next month INTEGRIM network will launch its third and last call for the recruitment of ESR. The Consortium is looking for 7 new ERS researchers who would ideally be PhD candidates who are already in advanced stages of their doctoral research and the elaboration of their thesis (applicants should have no more than 4 years of full-time research experience since obtaining the degree that entitles them to pursue doctoral studies). The programme offers them the possibility of enjoying a one-year-long research stay at one of the academic institutions of the network, either to improve their analysis or to develop the corresponding field work for their projects. 300 word abstracts should be sent to conference@cdcdi.ro by 15th January 2015. Please include the title, name of the authors, affiliation and e-mail addresses. The abstracts will be double blind peer reviewed. If your abstract is accepted, you will be notified by 30th January 2015. Please note that in this case the deadline for submitting the full paper is 5th March 2015. We will reply to all applications with an acknowledgement of receipt. If you have not received any confirmation e-mail from us within 3 days, please consider sending the abstract again. Contemporary European societies and polities face old and new challenges when handling the problems of discord, separation, or marginalization across social groups and spaces. The way in which these problems are handled plays into political and moral claims by which Europe positions itself in global affairs. As Europe observes these days, at times of enduring economic hardship, fissures and ruptures in society easily turn to cleavages. The recent march and popular appeal of far right political forces in different corners of Europe is intimately connected to xenophobic and chauvinist reflections upon these cleavages. Social categories, entitlements, and boundaries created by distributive and recognition struggles and decisions are at the heart of various social disentanglements. Migration studies critically reveal bundles of forces, sites, and mobilities that make the category of the migrant a salient one in articulating social fissures and ruptures. Recent currents in these studies contest simple binaries such as the migrants and the natives or the regular and irregular migrants by relating to other important differences in society that are marked by tensions, fight, or alliances among social actors. As the category of migrant becomes combined, questioned, transformed, or overridden by other important social categories, the relevance of ethnic and national boundaries and identities becomes contested. The notion of social inclusion, a master frame to the INTEGRIM initiative, has accumulated various positive meanings in political and policy debates yet remains contested in academic debates. 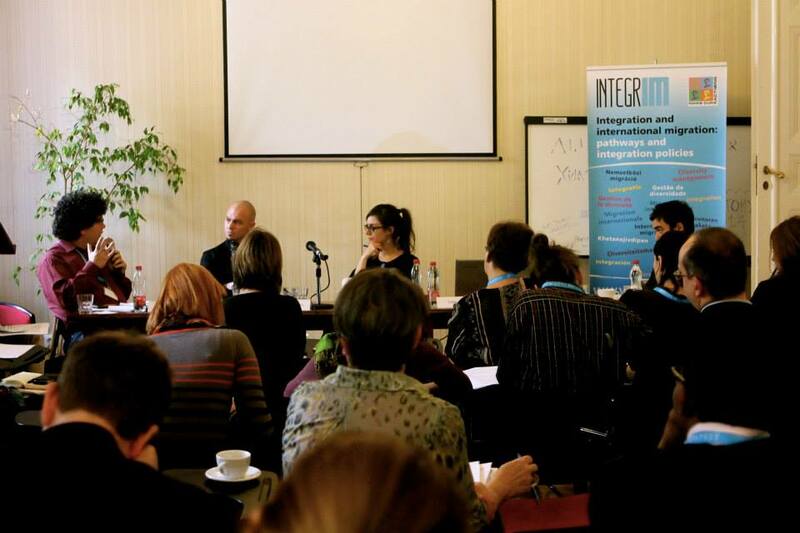 The Annual Conference of the INTEGRIM initiative in December 2014 addresses empirical and conceptual opportunities and recent explorations in understanding how migration flows, policies, and debates relate, move, reveal or clash with other important discords in society. Competitive, cooperative, transformative, or mutually constitutive relations of marked ruptures in society will be explored and explained. Further, the field of migration studies has obvious cross-currents with interdisciplinary scholarship on social inequalities, regimes of citizenship, practices of social exclusion and inclusion, and other key concepts capturing pronounced or disguised social ruptures. Similar types of encounters characterize the field of Romani Studies, whereas the two fields have generated only thin crosscurrents until now. 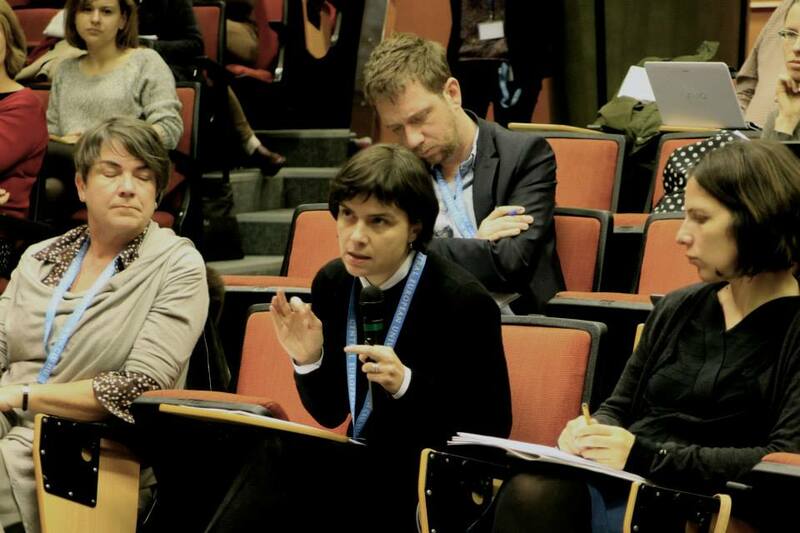 The host institution of the conference, the Central European University is deeply interested in promoting academic conversations across these two fields of studies and facilitating encounters of these two disjointed scholarly communities.